Most parents plan the nursery months ahead of the delivery. It is a lovely time, and when the baby has arrived most nurseries are set up and ready to go. 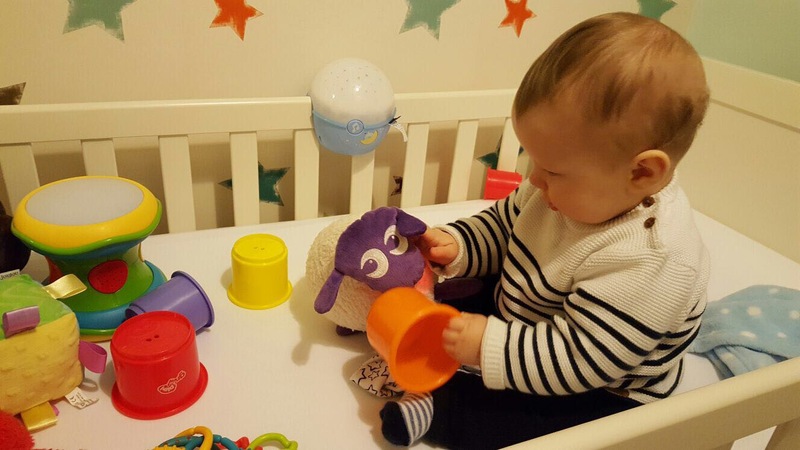 Even though babies sleep in the same room as mum and dad for several months, the nursery is used every day, initially for changing and, occasionally feeding. Your baby will only make a positive attachment to the cot in the nursery if it is used every day. I recommend parents pop their baby in the cot for 5-10 minutes sensory play time every day from birth. Attach a colourful battery operated mobile to the cot and fix colourful sensory toys to the cot bars. Install interesting lighting; LED fairy lights are cost-effective way to add interest and sparkle to the room; a morphing light show projector; colour changing sidelight will give the room a calming and relaxing ambience. Use a dimmer switch to reduce the intensity of bright overhead ceiling lights. Make the room comfortable; initially use a chair for feeding; as your baby gets older turn the floor into a ‘cosy corner’ with cushions and beanbags. Choose a cot appropriate for your needs; some cot beds are too big and bulky to fit into the parents room. Choose a cot that can fit into your bedroom up to 6 months. Attach a battery operated mobile to the cot and switch it on while you are in the room; very young babies do not like objects directly over their heads so sit your baby on your knee and look at the mobile together, until he becomes accustomed to it. Play music while you are in the room choose either classical or nursery rhymes whichever you prefer. Until your baby is old enough to hold and reach for teddies stay in the room while your baby plays. If your baby falls to sleep during a play session remove all toys and teddies from the cot area. As soon as your baby can roll to the side; remove any bulky mattress such as sleepyhead as it inhibits movement in the cot. To prevent your baby from banging into the bars; use single wraparound cot bumper, they attach with Velcro and air can still circulate through the bars. For more information about sensory sleep attachments read my book.